Missing the Stanley Cup Playoffs 6 years in a row (longer than a California drought) and after being picked to do the same thing again – the Calgary Flames beat (and eliminated) the Stanley Cup Champions, Los Angeles Kings – to claim one of the last Playoff spots – with only one game left in the their NHL season. Amazing stuff. 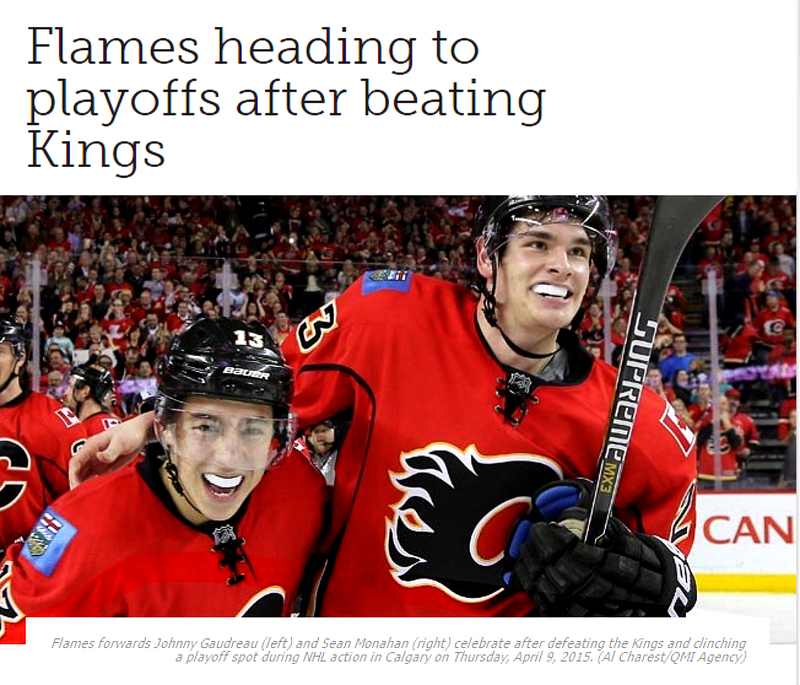 Johnny Gaudreau (from Boston College) (above left) will undoubtedly win National Hockey League Rookie of the Year – celebrating with linemate Sean Monahan. just a bunch of kids who didn’t know they weren’t supposed to do that.